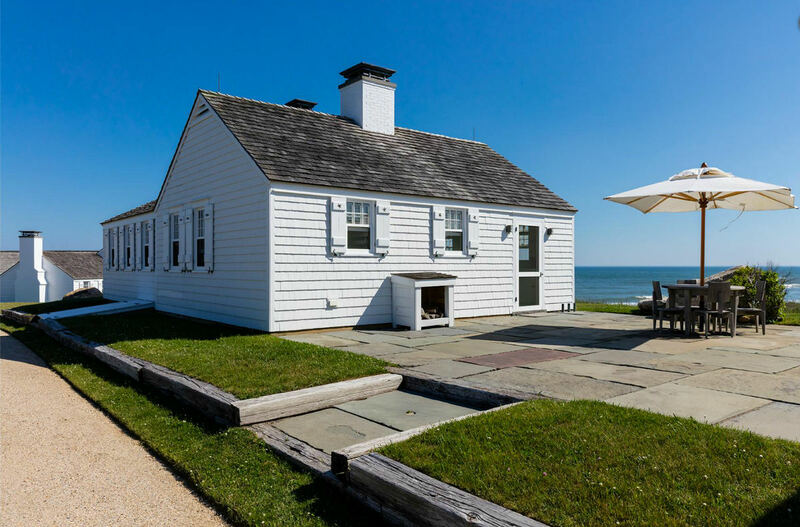 Andy Warhol’s former beach house, on the east tip of Long Island, has dramatic privacy and ocean views. 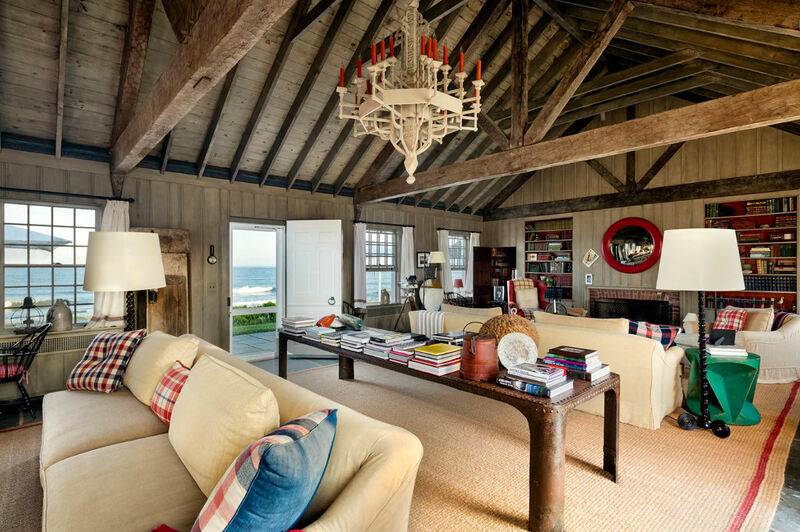 The beach house owned for more than 30 years by the late Pop artist Andy Warhol, was built as a 1930s family fishing camp for the Church family, owners of the Arm & Hammer baking soda company. 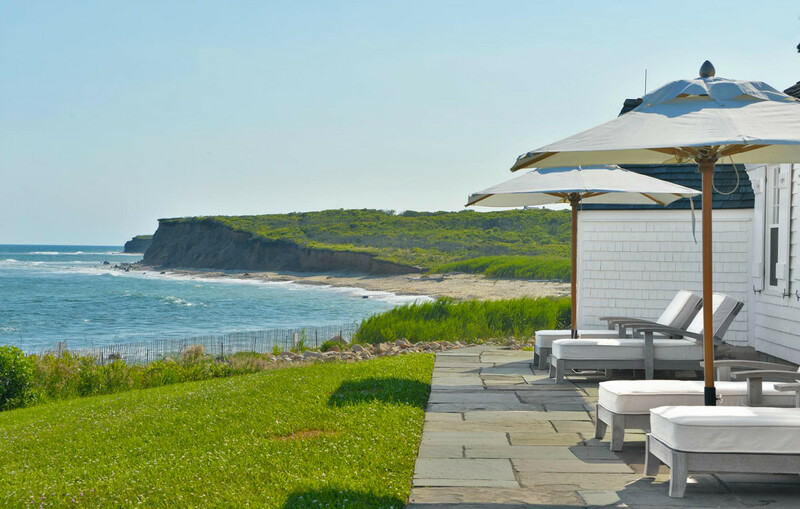 Known as Eothen, the oceanfront property is located outside the village of Montauk — the last town in the Hamptons. 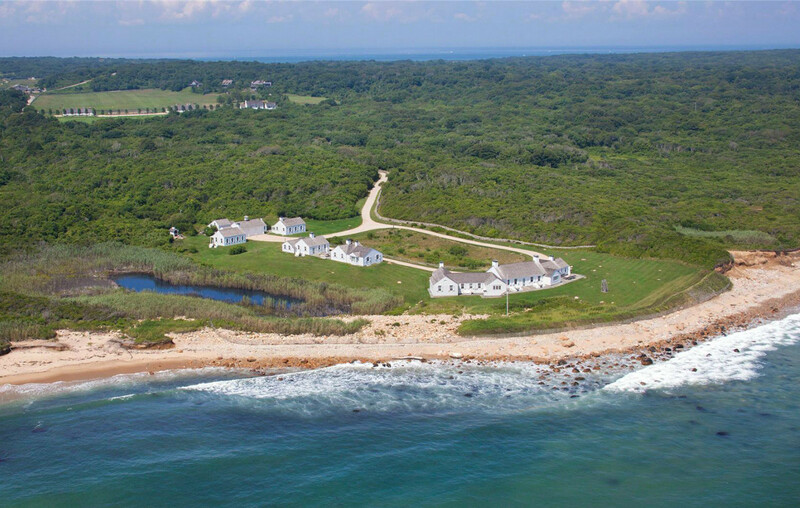 Warhol, who died in 1987, purchased the then 20-acre beach house complex of 5 white shingle cottages, a stable, and a 3-car garage from Church family heirs in 1971, for $225,000, according to the broker who sold it to him. At that time, the Hamptons was a fashionable artist’s colony and summer resort but not yet been built up. The modest fishing village of Montauk was the most private and low key town of all as it is physically as far east as one can go on land. 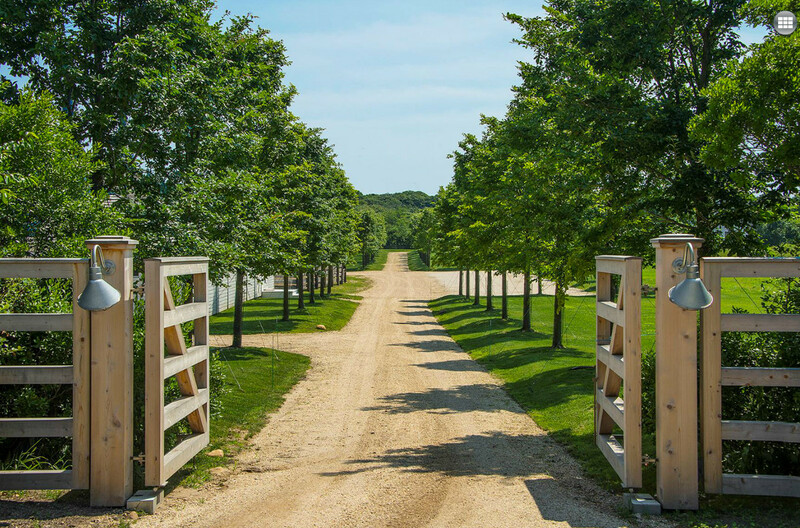 The entry to the property is an unassuming, unmarked gate with an unpaved road. I met Andy Warhol in Los Angeles when I was an art student. I don’t recall who introduced us or whether I introduced myself. He wasn’t very famous —yet. We took to each other and he especially liked my car, a two-tone blue 1957 Chevy convertible (the one with the fins) I’d inherited from my father. It was 1967 and Andy and the poet Gerard Malanga were staying at the Beverly Hills Hotel, up the block from my house. 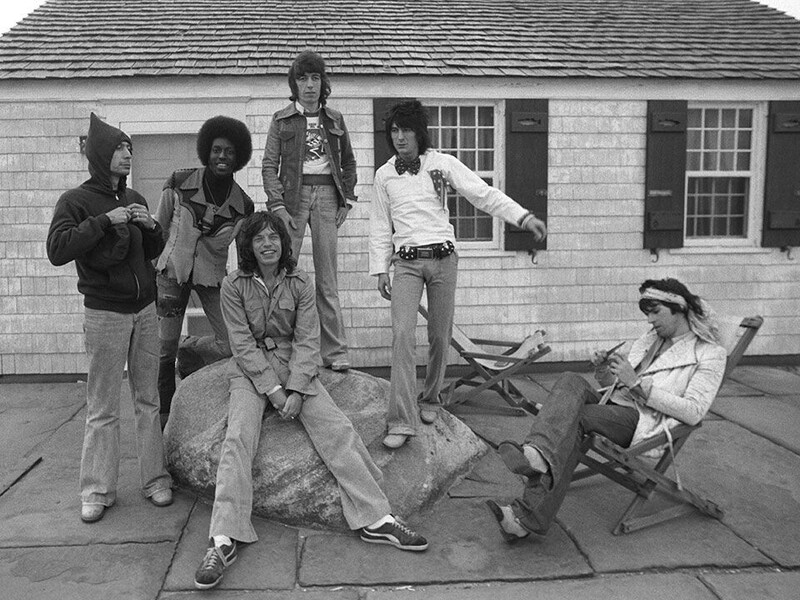 They had come to L.A. on tour with their band, the Velvet Underground but the band had rented a castle-like mansion in Bel Air where they were busy baking hash brownies. Andy didn’t drive and, in order to hang out, I volunteered. I also took them to Disneyland and to a dance club on the Sunset Strip. I very much wanted Andy’s approval of my purple silk jumpsuit and metallic silver trench coat with matching Delman sling back flats which I saw as a tribute to his silver cloud exhibition at the Leo Castelli Gallery the previous year. It was fun being an art-world groupie! 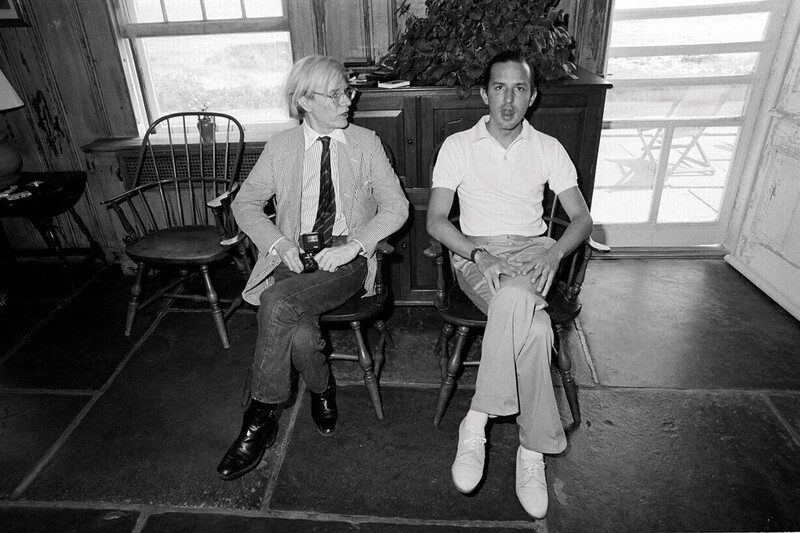 Andy and his longtime business manager, the late Fred Hughes, were photographed in the house. It’s a bit difficult to imagine him enjoying the beach or wearing a bathing suit. Celebrity guests are part of the history of Eothen. In the mid-1970s, the Rolling Stones rented the house from Warhol for a reported $5,000 a month and rehearsed their 1976 album “Black and Blue,” there. 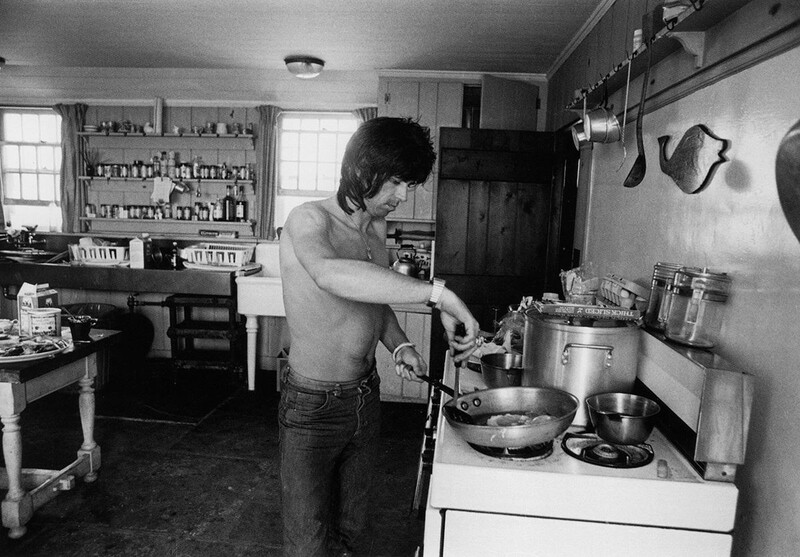 A photo of Keith Richards cooking breakfast in 1975 shows how the kitchen looked with the original freestanding sink and residential stove. After the death of Hughes, the house was sold in 2007 to J. Crew CEO Mickey Drexler who refurbished it with the help of designer Thierry Despont. The kitchen was whitewashed and the table switched out. A pro-style French range replaced the old stove. 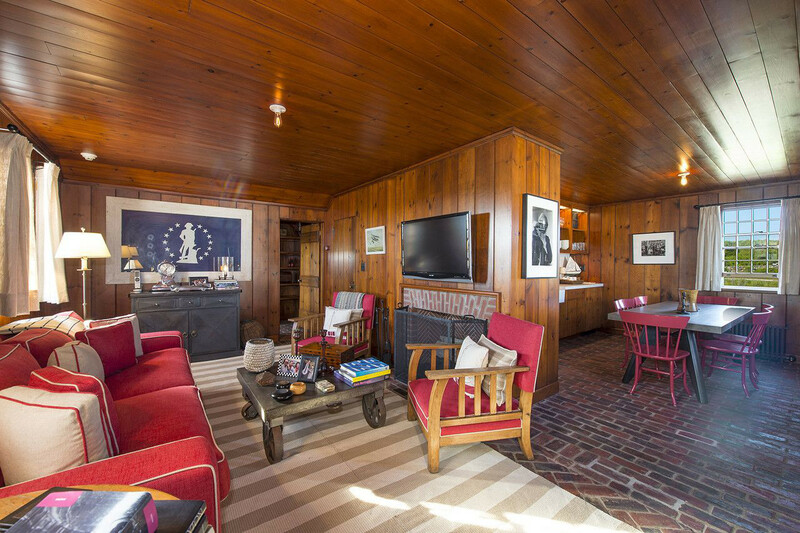 The two original sinks and the shiplap walls and ceiling remain surprisingly unchanged. Photos — along with the house’s history — surfaced when Mr. Drexler put Eothen on the market last year. The house made news when it sold, furnished, to a billionaire art dealer for a record $50 million in December. One of the six cottages has a large beamed ceiling and magnificent ocean views just off the stone patio [bottom] that overlooks the Atlantic. Another cottage has a more modest scale with painted shiplap walls, a loft space and modern beams reinforcing the barn-style ceiling. 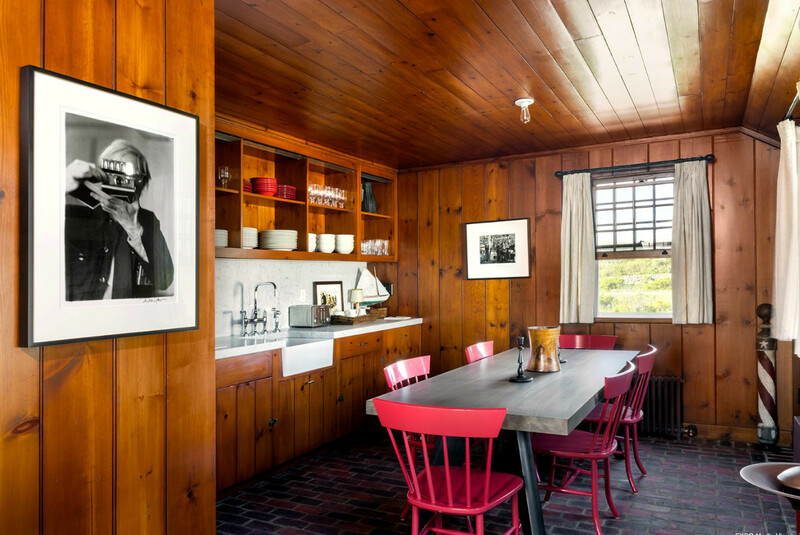 Natural pine paneling and a brick floor retain the feel of an original 1930s style in a third bungalow. Even with some redecoration, the single ceiling lights remain. 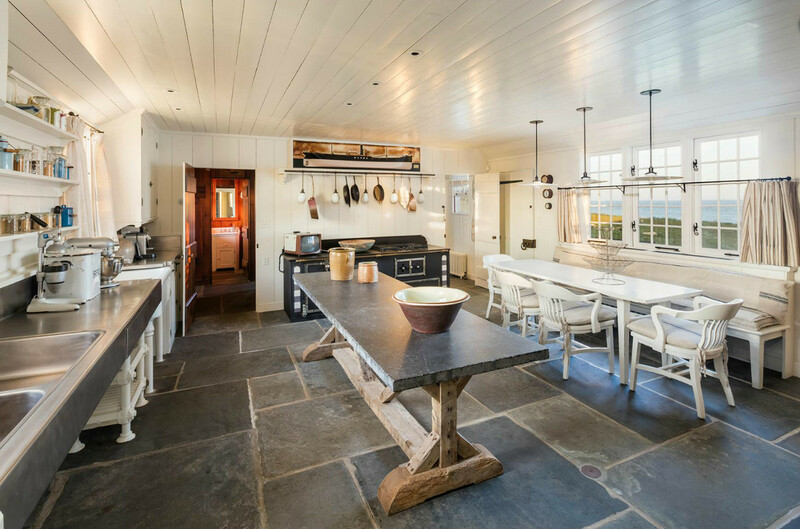 This skillfully renovated cottage kitchen doesn’t disturb the vintage vibe. A photo of Andy Warhol with his camera is displayed on the wall. 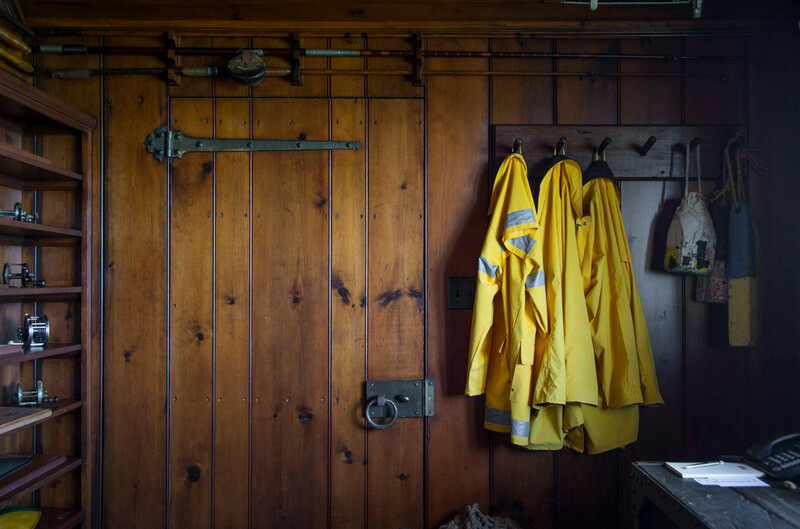 A fishing tackle room also retains early 20th century simplicity. Private ocean views, sun and sound of the Atlantic waves are siren calls to the east end of Long Island. Even a virtual tour of Eothen feels like time well spent.